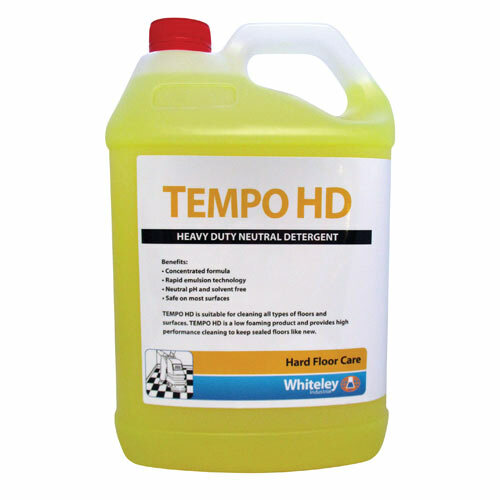 Tempo HD is a multipurpose neutral detergent designed for use in commercial, institutions and industrial environments. It rapidly emulsifies common food oils, minerals oils, and synthetic oils. Being pH neutral and solvent free. It very is safe for use on most surfaces. Tempo HD can be used in any area where oil and grease are a problem, including supermarkets, commercial buildings, kitchens, factories, institutional, government and healthcare facilities. Click here for Tempo HD MSDS.